Which mobile phone should I buy Sony Ericsson Xperia X8 or Samsung Galaxy Mini S5570 ? Ian, 14 Jan 2012im really having fun about this little X8 though i have the arcS and the ray and x10, i alread... morehi just want to ask where i can upgrade my xperia x8 os from donut to froyo? hope you can help me. 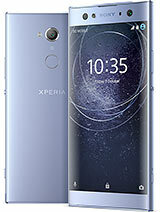 can anybody help me on where i can upgrapde my xperia x8 os from donut to froyo? Halimo, 13 Jan 2012Please if any one has that device .. can you tell me the SD content necessary . Explore the SD... morehi ian! can you teach me on how to upgrade my android 2.1 to 2.3 ginger? tnx in advance! if s.e make this android gingerbread or froyo ill effing buying it argh! would like to buy this phone, how? and its for local shippment. gyorgy, 10 Jan 2012My wife was considering getting this phone until I read somewhere that it has an on screen qwe... moreyes it has a numeric keyboard just set the Chinese keyboard as your input method. gropet, 13 Jan 2012i'm having trouble picking between sony ericsson aino and sony ericsson x8!!! pls help mexperia x8 is better than aino, because x8 is an android smart phone while aino is an ordinary feature phone and is not a full touch screen device. the only advantage of aino is the camera, x8 only has 3.15 mp fixed focus camera while aino has a 8.1 mp auto focus camera with Led flash. No voice commands support, no flash support, does not support adobe reader and youtube apps (youtube is inbuilt), does not connect to wifi using proxy, processing is slow, cannot move or install apps in sd card, internal memory is low so you cannot install bunch of applications, the default player uses hardware decoding scheme and thus cannot play wmv, avi formats. You have to download an app named mx video player to play them but this player also fails to play them properly if video is slightly good in quality. The problem observed is audio visual lag. Therefore in my opinion invest some more money and go for a gingerbread smartphone. the worst battery life I have ever seen doesn't stay a whole day standby !but the other features are great except the battery !